There is nothing quite like a mammoth parade– the rumble of heavy feet stamping the ground in stolid purpose, shaggy dust stained coats swaying to and fro with every movement, shining tusks jutting out in defiance of any who would dare cross their path. 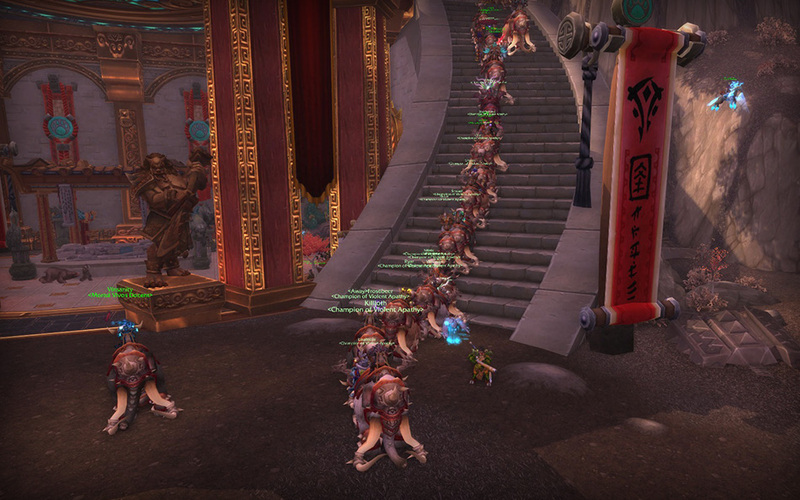 No one knows the power of these grand beasts quite like Horde guild Violent Apathy of Bleeding Hollow. Being the neighborly sort they are– they occasionally take time out of their busy day to visit their Alliance neighbors within the Vale of Eternal Blossoms. Their march begins within the halls of the Shrine of Two Moons and ends within the Shrine of Seven Stars. Once at their destination, they share a little gift some like to call world PvP. 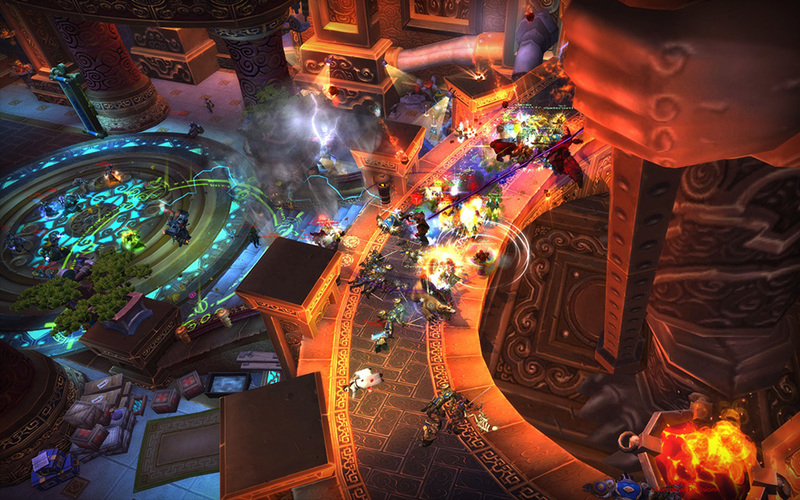 For more screenshots of their event, visit the Violent Apathy guild site. We’re suckers for great community run events and love being able to highlight some of the great events you share with us. If you’ve run a great event recently or have one coming up, head on over to the Community Events and Creations forum and let us know! Maybe your event will be the next one featured here on the official site.